While at Syracuse University, I’ve been asked to present to students on multiple subjects. 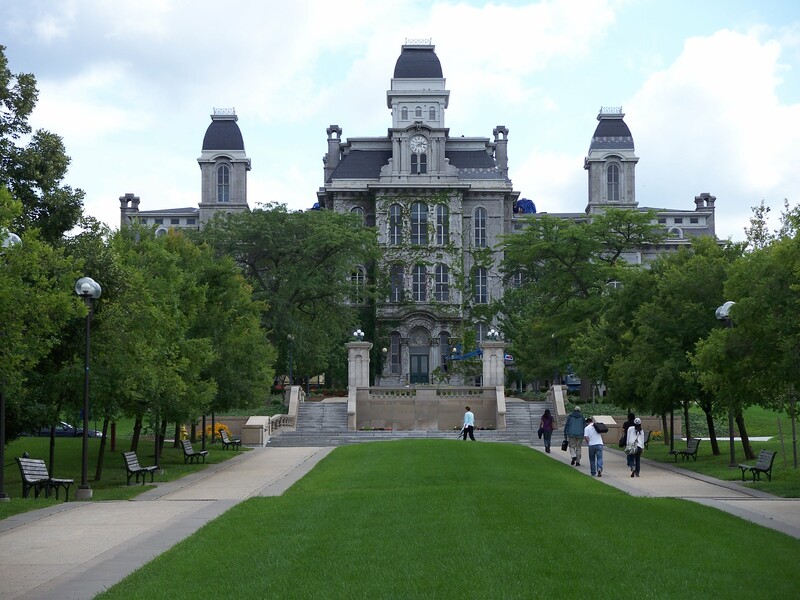 I was only in Syracuse for a few weeks when Dr. Nisha Gupta from the Graduate School asked me if I would present at their TA Orientation (Graduate School TA Orientation). In the Fall of my first semester and in the Fall of ’08, Dr. Kelly Chandler-Olcott asked me to do a presentation on Portfolio Assessment for her students (Developing Writing Portfolios). 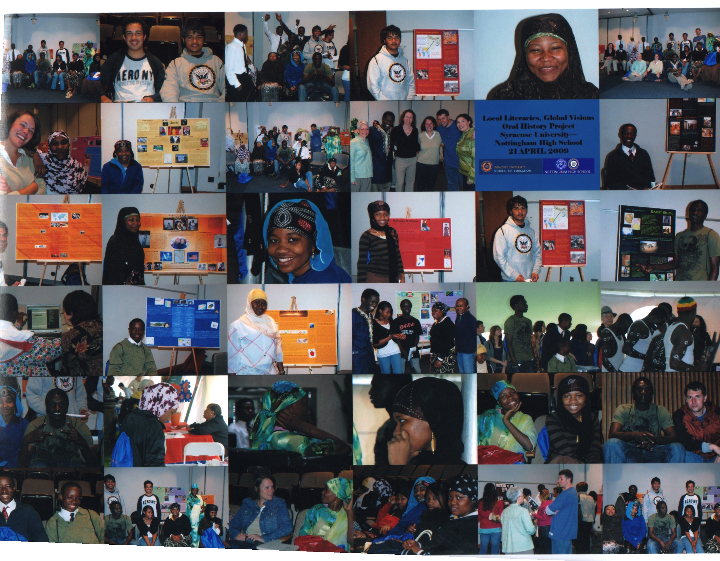 In the Fall of ’08, Dr. James Rolling asked me if I’d present to his Arts Based Research Methodology class on Personal Narratives and Identity Construction, which I did as my first ever visual essay (An I-Full of Personal Story). 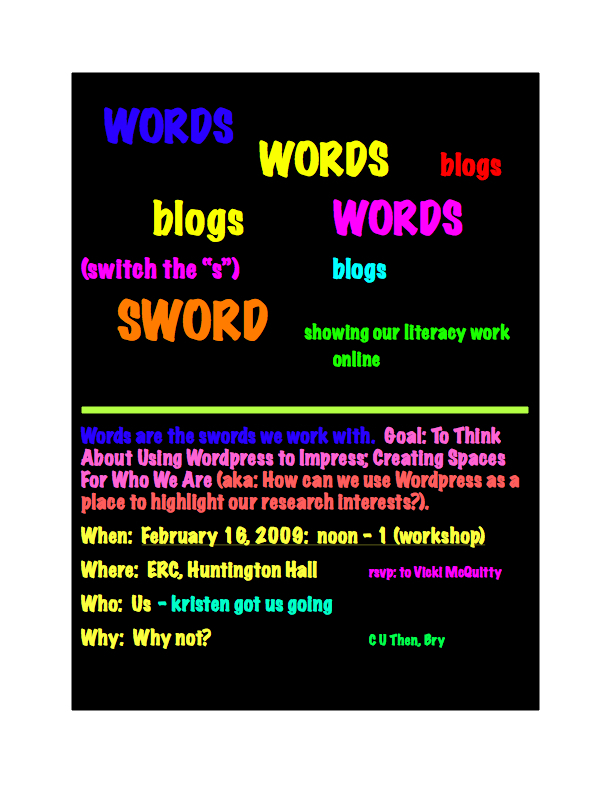 Also in the Fall of ’08, Dr. Rachel Brown asked if I would present to her students about using Blogs as a place for writing in the 21st Century. (Blogibilit(ies). Dr. Felicia McMahon in Anthropology asked me to present on my volunteer work with the Syracuse Lost Boy of Sudan Cow Project for her Honors symposium. (Migrating With Others). Finally, Dr. Marcelle Haddix asked me to present a workshop on Poetry and the Spoken Word for her students in a class called “The Composing Process.” (Reflection On Teaching Poetry). Career Services at Syracuse University asked Kristen Munger and me if we would present our online portfolios to Ph.D. students at Syracuse University. After she attended a workshop session with us, the Career Services director addressed that others at the university needed to learn how to do this. The result was an invited presentation to discuss our work and demonstrate how our collaboration built off one another’s online thinking and resulted in our professional portfolios online. Our presentation, Creating a Doctoral Portfolio Online , is available through Syracuse University’s career services. We’ve presented our online portfolios on numerous occasions and continue to guide our colleagues on creating their own.